I saw this crazy grackle convention going on in this one little part of Palmerston Avenue today. 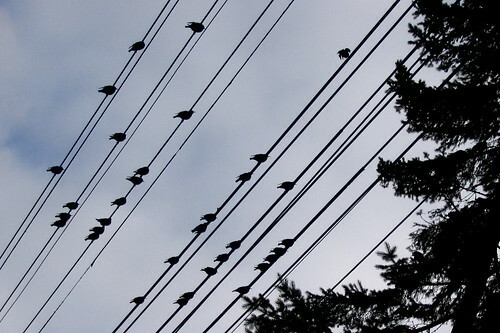 There were hundreds of them in the trees and on the wires, all around one particular house. The volume of the chirping was remarkable. It was pretty strange but cool, too. Creepy. A bit like Alfred Hitchcock's The Birds.